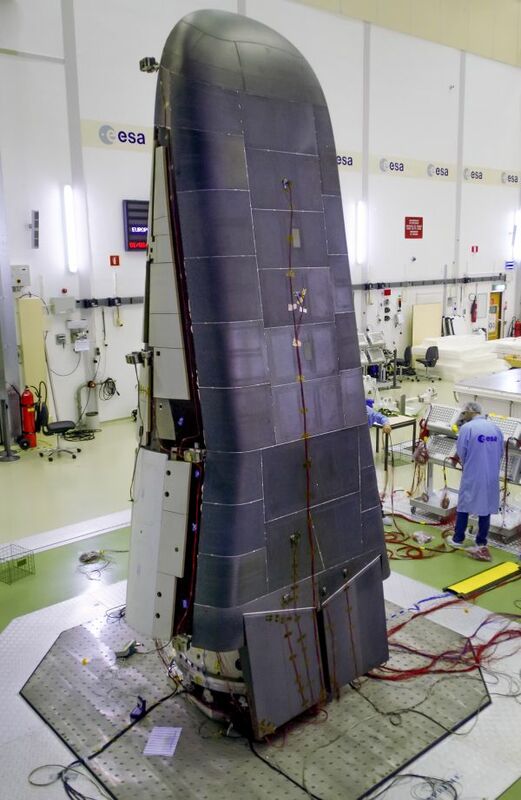 The IXV PFM Test Campaign at ETS/ESTEC has successfully finished and in the next days IXV and its supporting equipment will be transferred to Kourou for launch in November this year. Within three months mass property measurements, vibration tests, acoustic noise tests and a shock release test have been accomplished plus all kinds of functional tests to pass flight qualification. European reusable launchers. Prime contractor of IXV is Thales Alenia Space Italia SpA. normal sun intensity in an Earth orbit onto the Heat Shield! is responsible for the spacecraft's Heat Shield. In the frame of a Galileo FOC progress meeting a delegation of OHB and ESA visited ETS last week on August 6th. 'The delegation was lead by Mr. Didier Faivre (ESA Director of Navigation) and Mr. Marco Fuchs (CEO of OHB System AG). 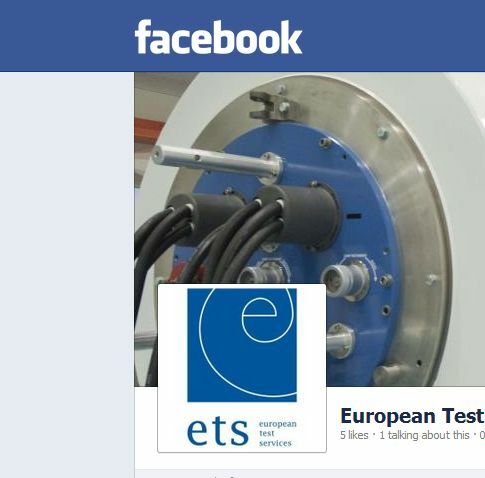 ETS managing director Dr. Jörg Selle welcomed the group of visitors and presented the activities of ETS. 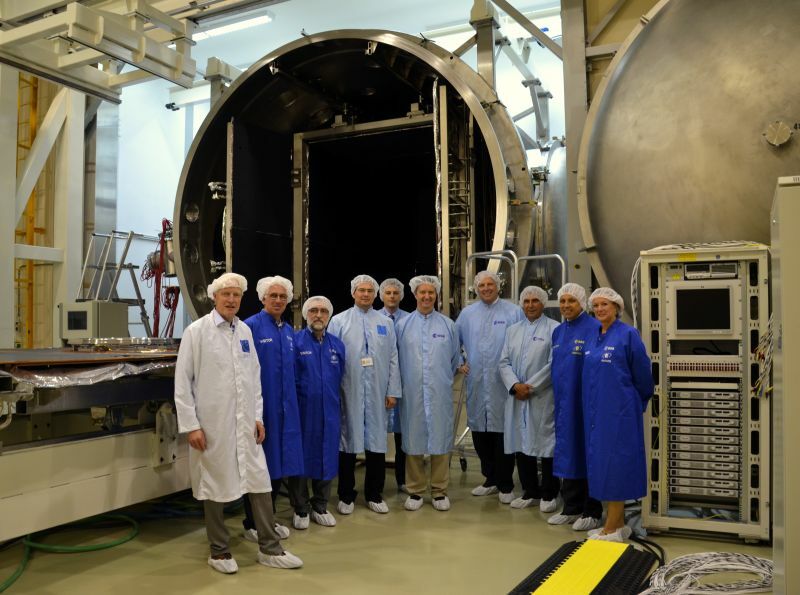 After the presentation the group had the opportunity to have a guided tour through the ESA Test Centre and to see the testing progress of the Galileo FOC FM1 satellite. "This document has been produced under funding of the European Union. The views expressed herein can in no way be taken to reflect the official opinion of the European Union and/or ESA." This week SmallGEO has successfully finished vibration testing on the 640kN QUAD facility by performing a sine burst at 5.8 g! 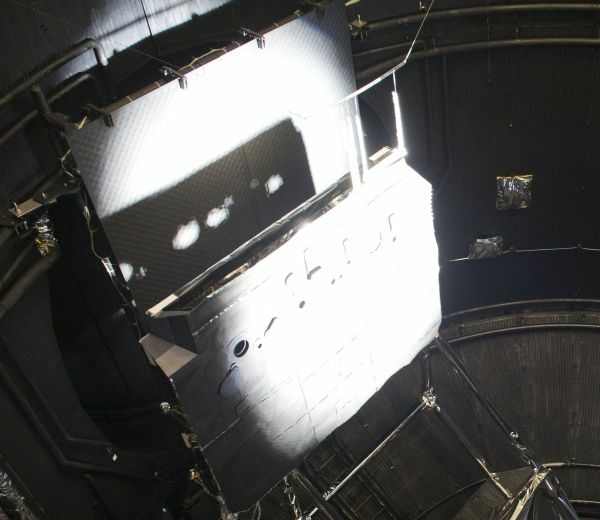 Next planned large test is the thermal vacuum test inside the Large Space Simulator (LSS). 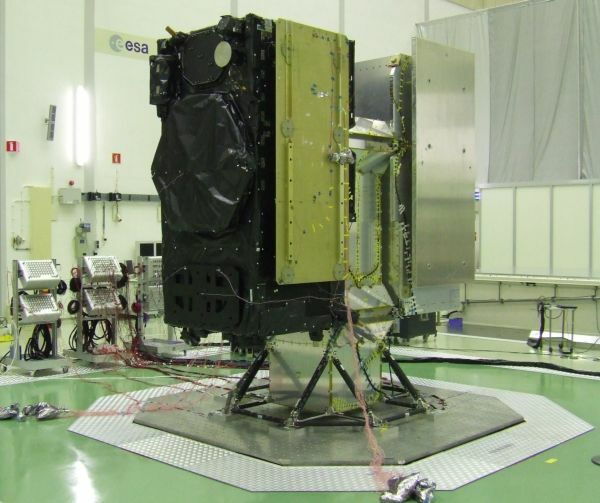 The small European geostationary platform (SmallGEO) for communication applications is being developed by OHB System's lead management under the ESA Artes 11 Programme. On the STM RUAG Space is responsible for the complete Spacecraft Structure Subsystem as well as for Thermal Control and Testing. 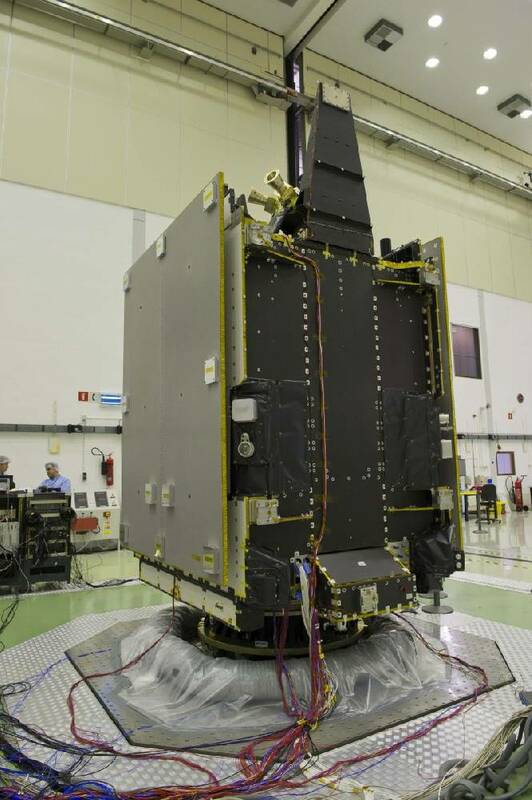 The first flight model will be flown by Hispasat, in a Public Private Partnership with ESA, as HAG 1 for advanced telecommunication services. 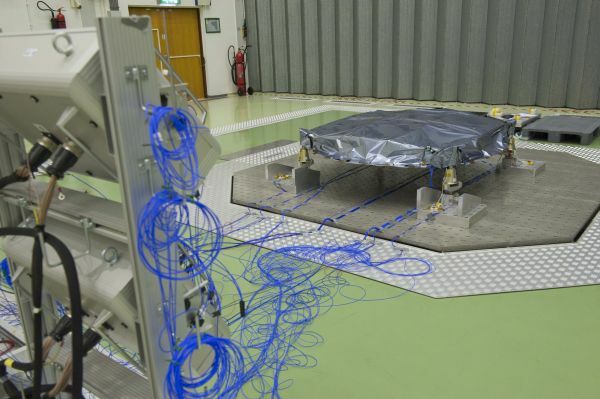 The BepiColombo STM Test Campaign is now in the phase of mechanical testing of the Mercury Composite Spacecraft, MCS (consisting of four spacecraft modules). BepiColombo is the ESA mission to Mercury, the test campaign is conducted by Thales Alenia Space Italy under Astrium GmbH prime. Currently the MCS is undergoing lateral vibration testing on the 320kN multishaker sliptable, longitudinal vibration testing on the 640kN QUAD shaker has been finished. After vibration testing the MCS will undergo acoustic noise testing in the Large European Acoustic Facility (LEAF) and shock separation testing. 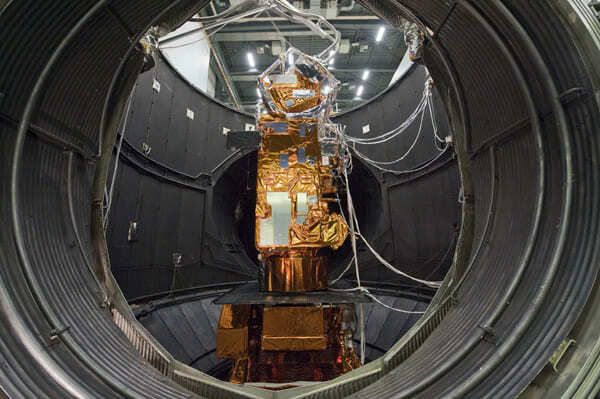 The Hispasat AG1 Europe Reflector is currently under vibration testing at ETS/ESTEC. The reflector is made by Astrium CASA for the first Small GEO mission called Hispasat Advanced Generation 1. The Small GEO platform is a European geostationary satellite platform, which shall compete in the commercial telecom market for small platforms. 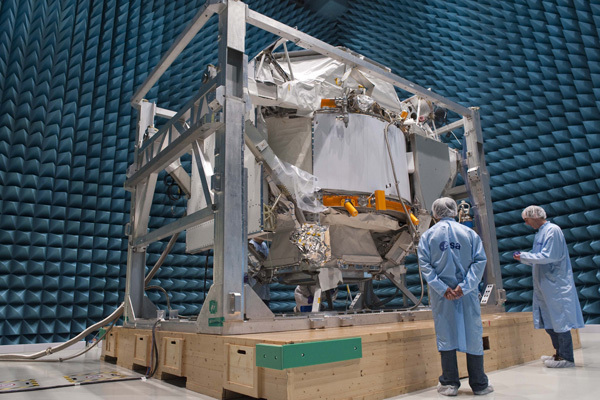 The Small GEO STM Satellite model is being tested later this year at ETS/ESTEC. Astrium GmbH Ottobrunn has successfully verified its MGSE for BepiColombo solar cell life testing at 10 solar constants. The solar cell life tests are planned in near future and are performed in the VTC 1.5 facility which has a sun simulator that reaches up to 25kW/m2. In addition to the successful MGSE verification it has also been the first operational test of VTC 1.5 after its refurbishment and empty qualification tests. 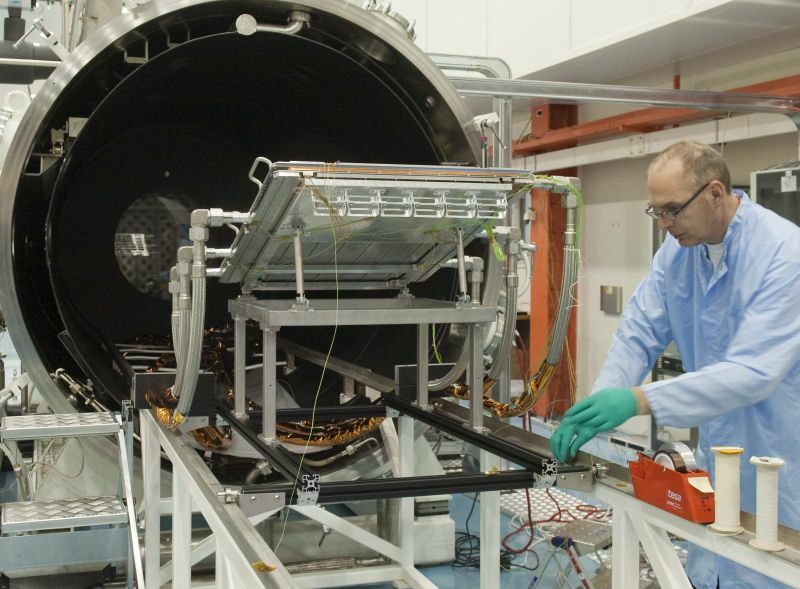 Currently RUAG Space is performing the Galileo Dispenser vibration test at ETS/ESTEC. The dispenser will make it possible that two Galileo Satellites can be launched in parallel. 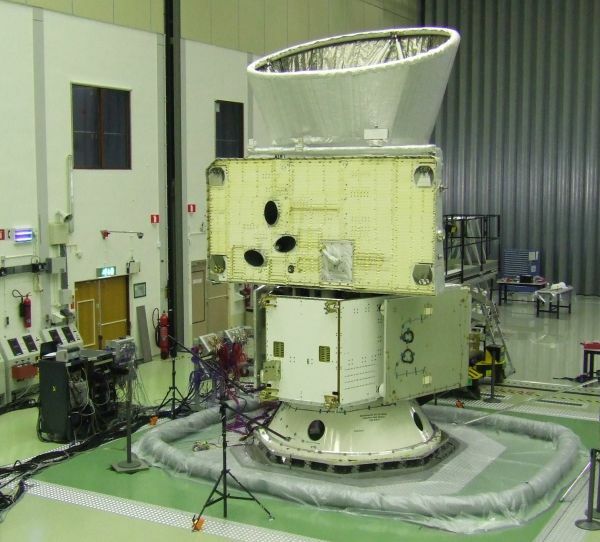 During testing an IOV SM (bare metal) and IOV STM (with blankets) satellite model are attached to the dispenser. After 20 days in vacuum the MetOp B PLM thermal vacuum test has successfully finished. MetOp is a series of three satellites to be launched sequentially over 14 years, MetOp B will be the second satellite to be launched in 2012. The PLM for METOP-B will be shipped back to Astrium GmbH (Friedrichshafen) where it will be stored prior the launch campaign in 2012. In February 2010 AMS-02 has arrived at ETS/ESTEC to perform EMC testing and thermal vacuum testing before going to the launch site at Cape Canaveral. AMS-02 is an international experiment managed by CERN to search in space for dark matter, missing matter & antimatter on the international space station. The EMC test in the Maxwell EMC facility has finished and the AMS-02 team is now preparing for the thermal vacuum test inside the LSS.